Yes, Tesco! More specifically, its loyalty scheme ‘Tesco Clubcard’, which allows shoppers to collect points that can be redeemed for flights, hotel stays, train tickets and more, through a wide range of travel-related partners. As unlikely as it may sound, Tesco Clubcard points are actually one of the most useful types of points/miles you can collect here in the UK. This is largely due to the combination of them being both versatile and relatively easy to amass in significant quantities. In the UK, we cannot rely on the massive credit card sign-up bonuses that are so readily available to our American cousins. 80,000-120,000 hotel points/frequent flyer miles from a single credit card sign-up isn’t uncommon in the US, whereas here that would be a pretty good average to aim for over an entire year from cards (signing up for a new one every few months). That means we have to look elsewhere to supplement our points/miles earnings, and Tesco Clubcard can be a big part of that. What exactly are Clubcard points? 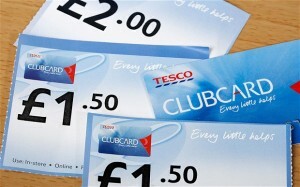 Clubcard points are the loyalty currency created by Tesco to reward members of its loyalty programme – Tesco Clubcard. Members receive 1 Clubcard Point for every £1.00 spent shopping at Tesco (either in store, or online), Tesco Direct, Tesco Wine, Tesco Clothing (F&F), and Tesco Mobile. Members also receive 1 Point for ever £2.00 spent on fuel at Tesco petrol stations. This may not sound terribly exciting, and in itself it isn’t really. Fortunately, Tesco also offers lots of opportunities to earn bonus points (either directly, or through some of their partners), and this is something I will certainly return to in more detail nearer the end! Four times a year, the Clubcard points you have collected over the latest period are automatically converted into Clubcard vouchers which you receive by post (you can also access them from your account online). These vouchers can either be used at face value to buy things from Tesco (1 Clubcard point is given a value of 1 pence, so if you collected 500 Clubcard points you would be sent a £5.00 Clubcard voucher), or be redeemed through one of their partners for up to 4x face value. 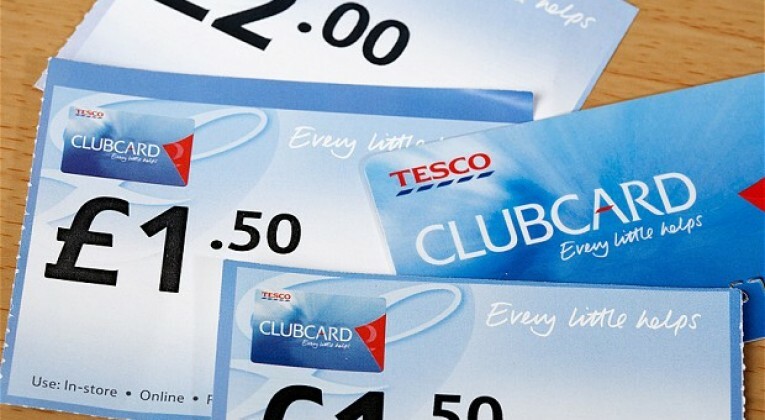 Clubcard vouchers expire after two years – so do remember to use them! What can I use Clubcard vouchers for? Clubcard vouchers can be used for all sorts of things (from days out to magazine subscriptions, via luxury cruises and First Class plane tickets) but I suspect that a lot of people simply (and slightly blindly) use their points in store, trading them in for money off their shopping and only receiving face value. This is absolutely not the way to get maximum value from your points. At the very least, you should try and wait for one of Tesco’s regular ‘Clubcard Boost’ events, where points can be redeemed for Tesco goods at 2x face value. Although we are focusing on travel here, there is one non-travel redemption option that deserves an honourable mention: Restaurants. Getting 4x face value by using Clubcard Vouchers for meals at places like Pizza Express, Cafe Rouge or Bella Italia etc is a popular, and simple, way to use them. 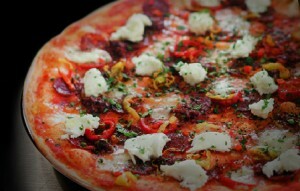 Check out the full range of dining options here. It is worth pointing out though that most of the restaurant partners usually have 50% discount or “2-4-1” offer codes floating around somewhere online, and it is not possible to use vouchers in conjunction with these offers. Therefore, you’ll usually only get 2x value, in reality, using them in this way (if you could otherwise have used a discount code). Besides, we’re more interested in travel anyway! For those of us who collect frequent flyer miles, the most interesting Tesco Clubcard travel partners are definitely Virgin Flying Club and British Airways Executive Club (BAEC). Points can be converted to British Airways Avios Points (their frequent flyer miles) at a rate of 1 Clubcard Point to 2.4 Avios. The smallest amount you can convert is £2.50 (250 Clubcard Points), which gets you 600 Avios. Note: It is also possible to convert to Avios.com instead of BAEC, but the amount of Avios you receive is the same, and you can transfer Avios freely between Avios.com and BAEC anyway, so it doesn’t really make any difference. Putting a value on frequent flyer miles is extremely subjective, but you really want to be trying to get at least 1 pence worth of value per Avios/Mile, which means that by converting your Clubcard points to BAEC or Flying Club, you should (conservatively) receive 2.4x or 2.5x face value respectively. If you use your Avios or Flying Club Miles wisely, you can get even better value, sometimes substantially so. Find out more about BAEC here and Virgin Flying Club here, including how to get the best value from your frequent flyer miles. 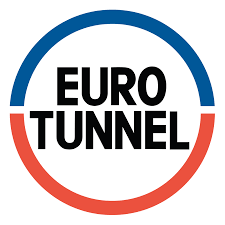 Eurotunnel is the pick of the crop here, offering 3x face value. The prices aren’t inflated and there are fewer of the irritating restrictions that many of the other deals are subject to. The only things to be aware of really are that you need to book at least 14 days in advance, and that travel must originate in Folkestone rather than Calais (Returns from Folkestone are fine of course, but you can’t book two singles). You can use Clubcard vouchers for train travel anywhere in the UK by transferring to Redspottedhanky. Transfers are in multiples of £5.00 and the transfer rate is 1:2, so for each £5.00 of Clubcard Vouchers you will get £10.00 to book trains with. This certainly isn’t the best possible way to use your Clubcard Points in terms of value, but if you have plenty of points and need to book a train, it can be useful. Full details here. Similarly, if you need to book a coach you can transfer to National Express or Megabus at the same £5.00 to £10.00 rate. There are a few ferry companies and car hire options too, as well as (sometimes useful) oddities like airport parking and rail passes. You can take a look at all the transport options here. How do I get lots of Clubcard points? OK, Clubcard Points are great, the challenge is getting hold of them in significant quantities. The good news is that there are quite a lot of ways to do this – the bad news is that there is almost always some sort of cost involved. Working out roughly how much you value Clubcard vouchers is therefore absolutely necessary. Personally, I always redeem my Clubcard Vouchers for at least 2x face value (usually more). At first glance then, so long as I spend less than that then in order to accumulate them (and use them for things I would buy anyway), I am theoretically saving money. It is absolutely vital though to also factor in the cost of time and effort, the possibility that Clubcard might devalue their partner redemptions (unlikely without notice, but possible), and the fact that Clubcard Vouchers are obviously less flexible than cash. Taking all that into account, as a general rule of thumb, I am very happy to take advantage of any promotion or deal that results in me ‘buying’ Clubcard Points at face value. In other words, if it costs me £1.00 to get 100 Clubcard Points (£1.00 in Clubcard Vouchers), I will almost always do so as long as the process isn’t hugely time consuming. If there’s an offer that allows me to get hold of Points for less than face value I leap at it, and if there’s an offer that works out costing more than face value I’ll consider carefully how much effort is involved and whether I really need any more Clubcard Vouchers for the near future. The maximum I would pay is about 1.5x face value, and for that to happen I would have to be pretty low on Clubcard Vouchers and the deal would have to take up very little time. Everyone’s situation is different though, and if you are saving up your Clubcard Vouchers for something specific that would otherwise be completely unaffordable, like First Class flights for a honeymoon, you might be comfortable spending more to accumulate them. Equally, if you already have lots of Clubcard Vouchers, why would you spend cash and effort to get more, unless it was extremely cheap to do so? The point is, you have to make sure you know the approximate value that you personally place on Clubcard Vouchers before you can decide whether it make sense to take advantage of any particular deal or not. Sometimes an incredible deal comes along and enters, what I like to think of as, the ‘Clubcard Hall of Fame’. There isn’t anything truly great at the moment, but we will let you know as soon as the next one comes along! In the meantime, there’s still plenty of ways to get tens of thousands of Clubcard Points at a reasonable cost each year. This is the easiest and most consistent way to rack up lots of Clubcard Points. You can transfer up to £50.00 (plus a 5% bonus, so £52.50 in total) each year from your cashback account to Clubcard. Bearing in mind that you could just transfer the cashback to your bank account instead, you are essentially ‘buying’ Clubcard Points at face value (1p per Point). All of your family/housemates can have separate Topcashback accounts too, so this is a genuinely fantastic way to get significant amounts of Clubcard Points at a reasonable price. Do not attempt to take advantage by having multiple accounts or anything similar. Topcashback are very good at finding out, and will cancel all your accounts and all the cashback you have in them. In other words, don’t be greedy! 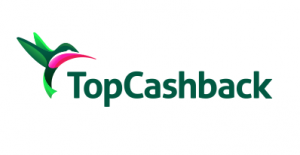 If you do not already have a Topcashback account you can sign up here (we receive a receive a small referral payment from Topcashback if you sign up from our link, so thank you!). Tesco has regular bonus point offers on its various insurance products. These usually offer 5,000 Points (£50 of Vouchers) for Life Insurance, Mortgage Repayment Insurance, or Life & Critical Illness Insurance. If you don’t really care about the insurance and are getting it purely for the Points, you should select the minimum cover, which costs £5.00 per month. Points are paid out in quarterly chunks of 1,250, so to collect the full 5,000 Points you would need to pay 12 months of premiums, which means you would basically be buying £50 of Clubcard Vouchers for £60. Although this is slightly above my usual threshold (1.2p per Point rather than 1p per Point), it is a relatively quick and easy way to get a good amount of points, so is definitely worth considering. If you value the actual insurance too, it’s a great deal. Unfortunately, the current offer is for an £80.00 Tesco gift card rather than Points, but I would expect a Points offer to be back at some point in the next few months – we’ll let you know as soon as it happens! The standard rules are that you can’t have more than two policies per household, and that you can’t get the Points for a particular policy if you have previously held that policy and cancelled it within the last 12 months. Full details are here. You can also pick up a quick 100 Points just for filling your insurance renewal details in (before the end of February 2016), here. Tesco has a very longstanding offer for 150 bonus Points when you spend £50.00 on branded gift cards in a single transaction. Tesco sell a large range of gift cards for places like Pizza Express, Nandos, Debenhams, House of Fraser etc. I won’t list them all because there’s too many, and you can take a look for yourself here. You can mix and match which gift cards you buy, so long as they total £50 (or a multiple of £50) This offer applies to all gift cards apart from Tesco’s own gift cards, xbox gift cards, and F&F gift cards. If you do your shopping with Tesco (in store or online), you will regularly receive coupons for bonus Points (or just discounts sometimes instead). Ordinarily, these aren’t anything to get too excited about in themselves – but a few hundred points here and there does add up, and it tends to be for items you buy anyway. Although there aren’t any big bonus codes at the moment, there are some good discount codes for new customers available: XXFNJE or XXYKRN for £12 off £60 spend (both end 28th Feb 2016). Tesco Direct is basically their version of a mini Amazon. You can buy everything from toys and technology to furniture and garden tools. There is a constant stream of bonus Point offers, usually ranging from 100+ for cheap items like CDs to 1,000+ for more expensive items like TVs etc. There are also regular discount codes for spending a particular amount in one transaction (eg. spend £60.00 and get £12.00 off). Tesco’s specialist wine seller (see what I did there! ), generally sells by the half case – so six bottles minimum. The range available is decent, and the prices are quite good as long as you stick to the offers. Occasionally they have some sort of ‘buy two half cases, save 25%’ or similar offer, which can lead to some great deals if you combine it with wine that is already on discount. Even better is stacking those offers with the regular codes they provide for additional discount or bonus Points (eg. £10 off £50 spend, or 1000 Clubcard Points for £60.00 spend etc). F&F is Tesco’s clothes shop, and provides a solid range of items for all the family at decent prices. I can’t remember seeing a bonus Points offer or code for F&F (correct me if I’m wrong! ), but they do have very regular discount codes. The standard reward rate isn’t terribly lucrative, at 1 Point for every £8.00 you spend on a debit card (1 Point for every £4.00 at Tesco), but getting anything at all back on debit card spending is better than what most banks offer. More interesting was a targeted offer last year, attempting to persuade Clubcard members to open a current account with Tesco Bank by offering 10,000 Bonus Points (£100 in Clubcard Vouchers). Whether that offer will be repeated, or be made available to everyone, remains to be seen, but I think it’s likely we’ll see something similar. Lots of banks offer a sign-up bonus in cash, so presumably it’s a business model they believe works. Tesco Bank also issues a small range of credit cards which you can earn Clubcard Points from too. You can take a look at what they are currently offering here. It is possible to get a mortgage from Tesco too. You would receive 1 Point for every £4.00 you pay (interest and capital), which obviously shouldn’t be enough to seriously influence your decision about who to get a mortgage with! If the rate they offer is competitive anyway though, it might just swing it. E.ON customers can earn up to 1,500 Clubcard Points each year by opting in to “E.ON Rewards Points”, which can then be transferred over to Clubcard. Tesco’s own survey company. The idea is that they send you a survey to complete every now and again about your shopping habits/experience, and you get rewarded with a small number of points that can be transferred to Clubcard. They advertise 100 Points for a 15 minute survey as being typical, which I suppose isn’t too bad if you can multi-task and do something else at the same time! Esso: As well as at their own petrol stations, Tesco lets you earn points (at a worse rate) at Esso as well. Blackcircles Tyres: I know absolutely nothing about tyres so can’t say whether their prices are competitive or not, but you can currently earn up to 3 Clubcard Points per £1.00. There has been some potentially interesting looking bonus Point offers in the past too, so if you need tyres it might be worth taking a look at Blackcircles. Living Social: Popular discount deals website. Earning 1 Clubcard Point per £1.00 is far from exciting, but linking your account is easy and they do have some good deals. Nutricentre: Health food and supplements, 1 Point per £1.00. Want to discuss Tesco Clubcard travel options, or any of the deals set out above? You can do so on our forums! I’ve converted Topcashback money into 2000 points this year so I’m using that bank switch offer you posted about to get the other 3000 points, maxing me out for a year (so that should be another 12k avios). I think the life insurance offer is finished but the pet insurance offer is still going. The points should be deposited into your account after 30 days so I should be able to cancel the insurance after that (fingers crossed). Thanks for commenting Andrew! – Yes, Tesco Clubcard can be an exceptionally useful tool for getting more Miles here in the UK. 100,000+ Avios/Virgin Miles each year is by no means an unreasonable target for a family, just through Clubcard. Keep your eyes peeled, as we’ll be ready and waiting to post as soon as the next big Tesco deal happens! I can’t find details of the Tesco gift card offer but their website is saying they won’t pay Clubcard points on these purchases. Am I missing something? As I mention in the article, “This offer applies to all gift cards apart from Tesco’s own gift cards, xbox gift cards, and F&F gift cards”. 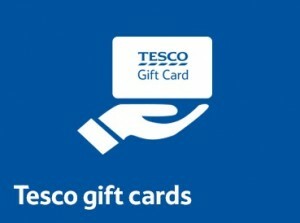 If you take a look at the “Branded Gift Cards” section of the terms and conditions (https://www.giftcards.tesco.com/help/page1 ), point three is quite clear about the bonus points. Enjoy!